William Tyndale was born at Melksham Court at Stinchcombe near North Nibley, Gloucestershire. He became chaplain in the house of Sir John Walsh in about 1521. He had studied at both Oxford and Cambridge and was a strong supporter of the movement for reform in the Church. His opinions involved him in controversy with his fellow clergymen and about 1522 he was actually summoned before the Chancellor of the Diocese of Worcester on a charge of heresy. He left for London. He had by this time determined to translate the Bible into English. He had admired the teaching of Erasmus at Cambridge (he made an English translation of the master's Enchiridion) and was certain in his heart that the way to God was through His word - scripture should be available even to 'a boy that driveth the plough'. But in London Tyndale was firmly rebuffed when he sought the support of Bishop Cuthbert Tunstall, who was uneasy, like many highly placed churchmen, with the idea of the Bible in the vernacular. Tyndale, with the help of Humphrey Monmouth, a merchant of means, left England under a false name and landed at Hamburg in 1524. He had already begun work on the translation of the New Testament. He visited Luther at Wittenberg and in the following year completed his translation. The printing was begun with William Roye, another reformist Cambridge man, at Cologne. But Roye was indiscreet and the work was soon being talked about. The city magistrates, at the behest of the anti-Lutheran theologian Johannes Cochlaeus, ordered the printing to stop. Only a few sheets were saved before Tyndale fled to Worms; among them was that containing his Prologue, which was later enlarged and called A Pathway into the Holy Scripture. The printing was successfully carried out at Worms. Copies of the New Testament in English arrived in England in 1526, and the work was given a very hostile reception by the Church. The reforming movement had insisted, since the time of John Wycliffe, that the scriptures should be available to everyone and not kept in the hands of the establishment so that they could make their own rules. But while the established Church could make no real case against a Bible in the vernacular, it could rest on its massive authority and mutter threateningly about tendentious comment - and Tyndale's New Testament carried a great deal of comment. Tunstall (predictably) and Archbishop Warham denounced it; so did Thomas More, who was against every manifestation of Luther's Reformation. Wolsey demanded Tyndale's arrest as a heretic. Eventually an English spy in the Netherlands, Henry Phillips, betrayed Tyndale to the imperial authorities. 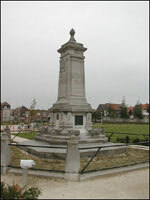 He was arrested in Antwerp in 1535 and confined in the castle of Vilvorde, near Brussels. He was tried on a charge of heresy in 1536 and condemned to the stake in spite of Thomas Cromwell's attempt to intercede on his behalf. He was mercifully strangled before the fires were lighted. He left the manuscript of his translation of the Old Testament books Joshua to the Second Book of Chronicles. 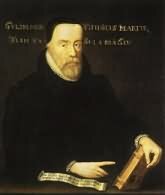 In the year of Tyndale's death his New Testament in English was actually printed in England and before long other scholars were hurrying the great work to completion. The climate of reform had helped the matter along and Henry VIII encouraged it. Tyndale returned to Greek and Hebrew sources for his English Bible and his sharp, lucid English style set the character for every translation that followed.